How to form a nighttime routine for clear skin in the AM. Want to wake up with clearer skin tomorrow? Here’s how to put together a pre-bed nighttime routine to fight acne, blackheads, whiteheads and inflammation while you sleep and put your skin in top shape for the following morning. Get your blood flowing – not just for your overall health and fitness, but also to bring blood to the capillaries under your facial skin. Sweating from your pores also pushes out excess sebum (oil) that has built up and caused irritation or acne. After you have freshly exercised, your complexion may look a bit redder than usual, but it leaves your facial skin with a reinvigorated supply of oxygenated blood that gives you a younger-looking, healthy glow. Wash off any salty sweat you’ve built up during your workout and give your skin a breather – the steam from the shower helps open your pores. Give the steam 4 to 5 minutes to work its magic, then move on to washing your face. Your cleanser will be more effective at clearing out any bacteria or excess oil in your pores if the steam has had time to open up your pores. If you don’t have time for a full body shower or simply want to get more face time with the steam, boil some water and then pour it into a bowl. Cover your head and shoulders with a clean towel and huddle under the towel with your face soaking up the steam rising from the bowl. It’s the closest you can get to sauna without paying for a trip to the spa! Whether you shower or steam or both, be sure not to turn the water temperature TOO hot – you could irritate your skin or even burn yourself so be careful! Not all pimples are made equal – if you’re dealing with a blackhead, consult our ultimate guide to getting rid of them. Run-of-the-mill zits and whiteheads are different, and should be dealt with accordingly. While it may be tempting to pop that zit, it can create more trouble than it’s worth. Besides introducing more bacteria into your skin, you run the risk of damaging your skin or even creating acne scars. Instead, consider a noninvasive alternative, like ESPADA blue light acne treatment. It combines powerful LED light therapy with T-Sonic pulsations for faster, longer-lasting results than you could ever get from your fingers. No pus, no fuss. An acne-fighting diet is a healthy diet, so the scientifically-backed practical advice will not surprise you: Eat a wholesome dinner full of fresh or lightly steamed vegetables – make sure you’re getting 5 to 7 servings of vegetables a day! Avoid too much sugar, including both those found in sweets, processed foods and complex carbs like bread. Ideally you can cook for yourself at home to ensure that food preparation doesn’t use too much oil. Finally, avoid dairy – the science is not conclusive yet but several studies have linked consumption of dairy with acne flare-ups. Keep your body – including its largest organ, your skin – well hydrated and functioning optimally by frequently drinking water, especially rehydrating after a workout. If you fail to hydrate properly, you don’t just end up thirsty – you end up with dry skin, too! And guess what: dry skin can also lead to breakouts. Avoid alcohol – not only will it dehydrate you further, contributing to any acne problem you’re struggling with, but moreover it will have an extremely negative impact on the quality of sleep you need to give your skin time to recover and wake up refreshed. Aim for 8 hours but to be sure, leave a big window for relaxing before bed so that you can you fall asleep on time. A couple hours before bed, put away all screens, including your television, computer, tablet and phone. Instead, listen to some relaxing music, curl up with a good book or try some mindful meditation. 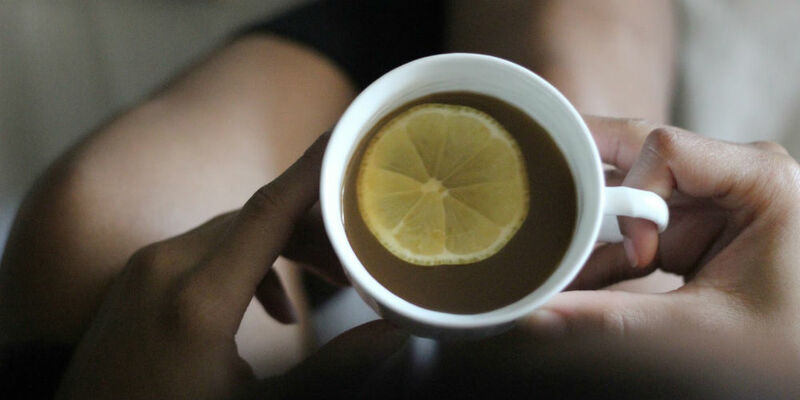 If you want some extra help calming down before bed, try a night time tea like chamomile or a natural supplement like melatonin. Change your sheets and pillowcases, your towels and face clothes and definitely do not touch your face with your phone or your hands – you’ll only introduce more bacteria! Experiment with combinations of the following steps in order to find the right routine for you and your skin type. Choose at least one step from each section to implement in your routine. Remember that results take time, so devise a routine and then stick to it for 4 to 6 weeks to wait for the outcome and assess effectiveness before making adjustments. Also keep in mind what you learned about scientific method back in biology class. When revising your routine, isolate the variable by only changing one element of your routine at a time to see if that was causing the problem. If you experience no changes in how clear your skin is, then go back to your original routine and choose another element to change. You can only figure out what’s not working by changing one piece at a time. If you’re only just starting out on the struggle against acne, blackheads and other blemishes, then at first it will be hard to know just what kind of cleansing routine will be right for your skin. One hint may be looking to what your mother does to cleanse her skin – thanks to genetics, it’s likely that if your mother has oily skin or dry skin, then you also likely have oily or dry skin. Frequency: For some sensitive or dry skin types, washing with a cleanser only once a day may be enough to maintain clear skin and keep your skin’s natural oils in balance. For more oily, thicker skin, cleansing twice daily or even additional times after a workout or working up a sweat will be necessary. Cleanser: FOREO’s cleansers are the closest you can find to one-size-fits-all skin care. Their natural ingredients are gentle enough for sensitive skin yet super effective at maintaining a blemish-free complexion. Plus, their day and night formulas give your skin what it needs first thing in the morning and right before bed. Exfoliation: Exfoliation shouldn’t be a part of your everyday skin care routine, but you should remember to incorporate an exfoliating agent about twice a week into your nighttime skin care routine in order to fight dull skin by sloughing off dead skin cells and encouraging the growth of fresh new skin cells for a glowing, radiant look. For a natural and inexpensive at-home exfoliator, try combining one teaspoon natural, unbleached sugar with half a teaspoon raw honey and a squeeze of fresh lemon juice. Combine ingredients and add a bit more sugar if the consistency is too loose. Apply to your wet face, give it a brief and gentle scrub, rinse off and voila! You’re exfoliated and your skin smells sweet. Face cleansing brush: If you want something better than basic exfoliation, FOREO’s LUNA face brush range offers options for every skin type. The LUNA mini 2 has eight adjustable intensities so you can customize your cleanse for your skin, and the LUNA 2 is available for normal, combination, oily and sensitive skin types. Regardless of your skin type, do not over clean! Even the hardiest or most oily of skin types should not be washed too much or too harshly. Your skin naturally produces oils, and a total absence of all oil will leave your skin vulnerable to damage and drying, or even more acne. 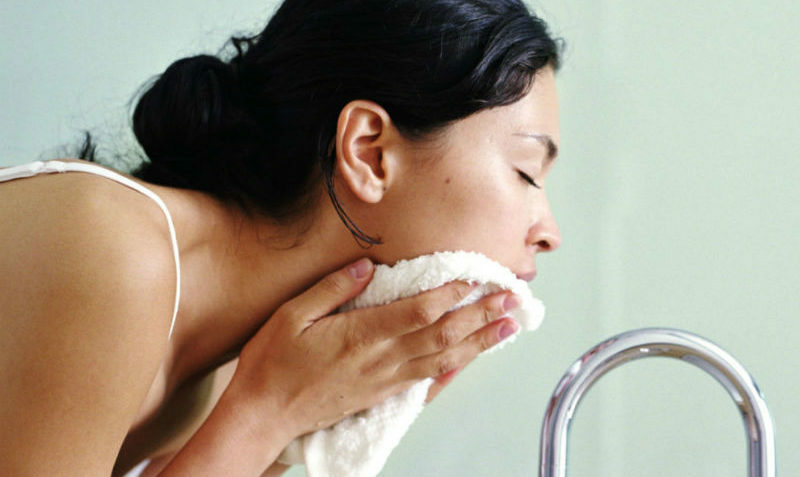 Scrubbing too hard or exfoliating too harshly or often can also cause more irritation, redness and blemishes. Doctors and facialists can recommend a whole host of prescription or professional treatments for clear skin – read our rundown of the most common options. Start by experimenting with DIY and over the-counter-treatments to see if these might do the trick for clearing up your acne overnight. Egg white, like the vast majority of topical curative agents, is drying, so do not use this method more than three times a week. An egg white face mask will help open your pores, making cleansing and exfoliating more effective, so if you choose to experiment with this option, apply it before cleansing. To try an egg white mask, find yourself an egg, a bowl and some cotton makeup pads. Break the egg, let the egg white fall into the bowl and dispose of the yolk (or save it for breakfast in the morning). Use the makeup pad to apply the egg white to your face. Once covered, let it dry. Then apply a second layer and let that dry. Continue until you’ve used all of the egg white, then proceed to cleansing. Make sure to clean well, as some eggs contain a bacteria called salmonella. Although it’s not likely to harm you through contact with your skin, better safe than sorry, so clean thoroughly. Salicylic acid is a proven acne-fighting agent. After you’ve washed your face, use a product with salicylic acid as the active ingredient. There are many available on the market – medicated makeup pads, facemasks, gels – so choose your favorite or experiment until you find the best one for you. Benzoyl peroxide is another proven acne-fighting agent, the difference is that its effect is a bit more intense and drying, so if you have sensitive skin, try a salicylic acid solution first. 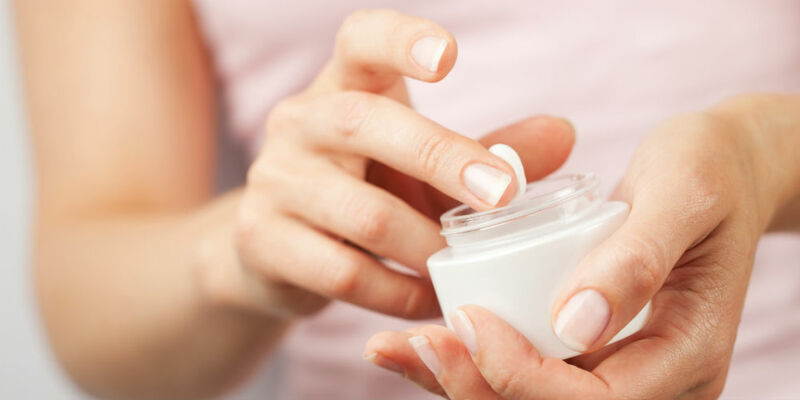 Like salicylic acid, you can find benzoyl peroxide in any number of forms, but most commonly and most easy to administer is a gel for spot treatment. After cleansing, apply the gel to specific problem areas on your face. Just don’t overuse – a little gel goes a long way, and adding more will not proportionately improve its effectiveness, it will just waste gel. No matter how oily your skin, never ever skimp on moisturizing. In fact, if you’ve been struggling with oily skin for years and avoiding moisturizing as a result, that is very likely making your skin more oily and your acne worse. 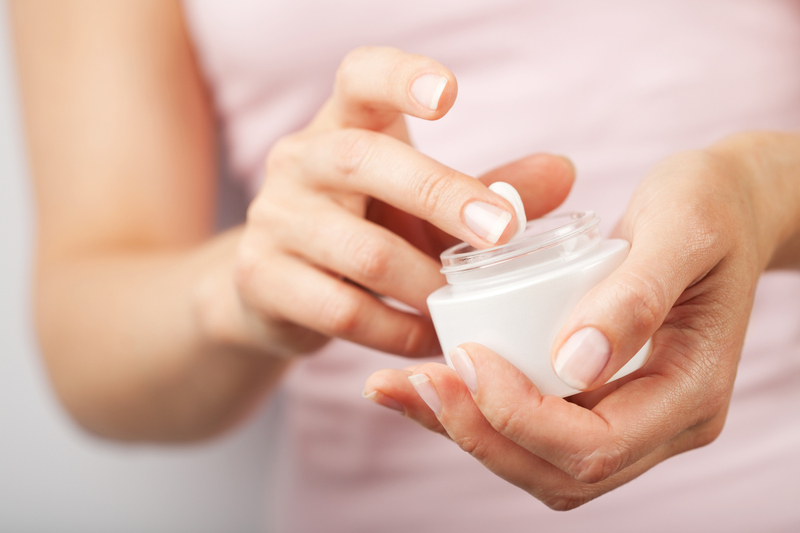 Perhaps counterintuitively, often the most effective treatment for oily skin is sufficient and regular moisturizing. Since you’re not going out while you’re fast asleep, you can skip the SPF moisturizer for night and use a heavier, more intense moisturizing cream before bed. Even if you don’t have fine lines or dark circles, nothing is better than the present for preventing signs of aging. Start young and stay looking younger for longer. Try applying your eye cream in combination with an eye massager like the IRIS to improve the absorption and efficacy of your eye cream. Once you’ve cleansed, applied topical agent(s) and moisturized, seal in your hard work with a top layer of aloe vera. Aloe vera is not only one of nature’s most moisturizing substances, but also it protects your skin all night long, allowing the products you’ve applied to work their magic. Let your skin breathe – don’t undo all the effort of your night time skin care routine by burying your face in your pillow! 19. Wake up with healthier, clearer, beautiful skin! To get more helpful tips and tricks, sign up for the MYSA newsletter now! Dermalmd serum fast and effective and can diminish blemishes ASAP. I would only recommend using for spot treatment; I used it in a couple blemish prone spots as a preventative but it backfired and I broke out worse than before. I’ve only been using it for spot treatment since then and would recommend this to everyone. Have you tried a little tea tree oil? It’s my go-to spot treatment and gentler on the skin than a lot of other chemical options. I sweasr by the dermalmd blemish serum. My fasvorite is thar it doesnt irritste or overly dry my face. Witch hazel is a good spot treatment too.